Bachelor’s degree from an accredited institution. The applicants must graduate from the following academic fields: Computer Science, Information Technology, Telecommunications Science, Engineering or related field. 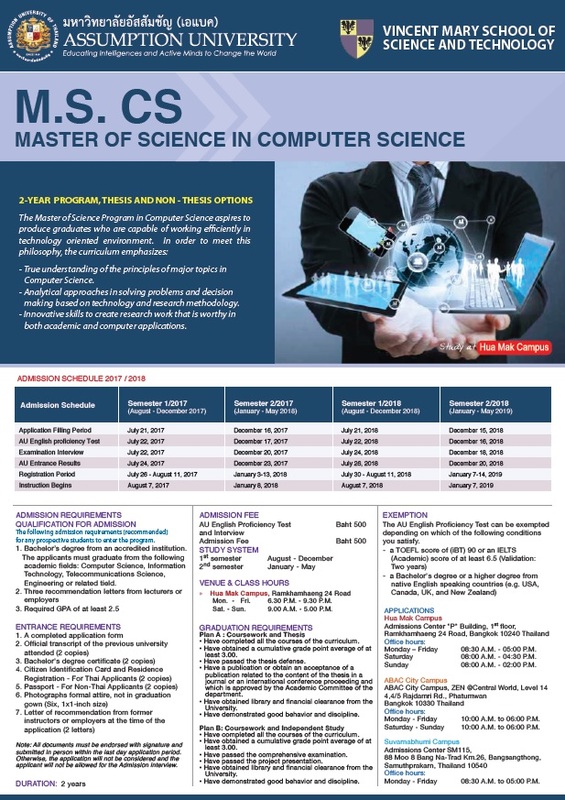 Master’s degree in Computer Science or equivalent, or in other related technical fields, from the institutions accredited by the Ministry of Education, Thailand or by the official accreditation organization of the country where the institution is based. 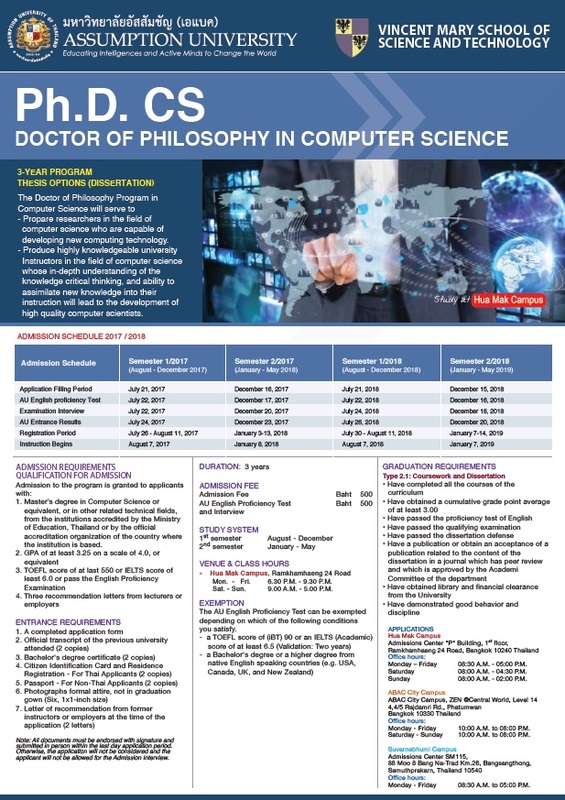 Bachelor’s degree in Computer Science or equivalent, or in other related technical fields, from the institutions accredited by the Ministry of Education, Thailand or by the official accreditation organization of the country where the institution is based. Monday – Friday 08:30 A.M. - 05:00 P.M.
Saturday 08:00 A.M. - 04:30 P.M.
Sunday 08:00 A.M. - 02:00 P.M.
2014 © Computer Science, Assumption University. ALL Rights Reserved.